The innate immune response constitutes the first host response against invading viruses and shapes the following adaptive response. The production of inflammatory mediators and interferon is essential to mount an adequate anti-viral response and this is controlled by particular cellular transcription factors (i.e. 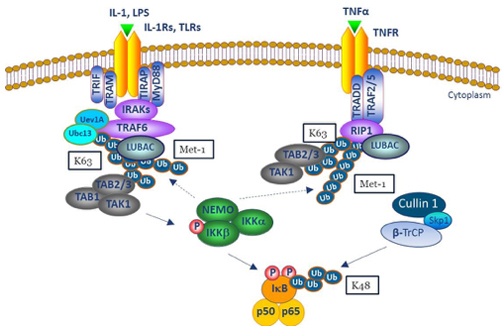 NF-kB, IRF3, AP-1). We are interested in how the activation of these factors is orchestrated at the molecular level and what consequences this has on the overall host response and viral pathogenesis.